From 1 October 2018, flybmi customers will be able to enjoy flying on routes from the UK and Ireland to Istanbul thanks to a new codeshare partnership with Turkish Airlines. The partnership will provide business and leisure travelers an opportunity to book via flybmi.com and enjoy travel from Manchester, London Heathrow and Dublin to the Turkish metropole. 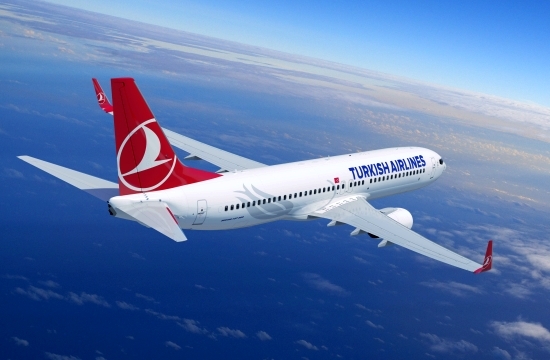 Furthermore, the codeshare will also open up routes within Europe for flybmias customers will be able to fly on from Istanbul to Brussels, Paris, Dusseldorf, Hamburg and Oslo as part of the agreement. In return, Turkish Airlines customers will enjoy the benefits of flying on eightof flybmi’sEuropean routes including inbound routes from Brussels to Newcastle and East Midlands, Norrköping and Saarbrücken to Munich, Oslo to Aberdeen and Hamburg, Dusseldorf and Paris to Bristol. The strategic move strengthens both airlines’ network presence throughout Europewith each enjoying significant benefits for both inbound and outbound travel. Fares on the ex UK routes from Manchester, Heathrow and Dublin can be booked via www.flybmi.com. All fares are inclusive of 23kg of hold luggage, allocated seating and complimentary in-flight drinks and snacks. flybmi operates an all-jet fleet comprising 19 Embraer 135 and 145 aircraft. The airline now operates over 600 scheduled flights a week across a network of 45destinations in 12European countries and employs more than 400 staff. The airline also operates an extensive ad hoc charter business and flies on a contract basis on behalf of other carriers. Its scheduled network includes Oslo and Stavanger in Norway; Brussels in Belgium; Esbjerg in Denmark; Nantes and Paris in France; Brno in Czech Republic; Frankfurt, Dusseldorf, Hamburg, Nuremberg, Rostock, Munich, Saarbrücken and Stuttgart in Germany; Dublin in Ireland; Milan Malpensa, Milan Bergamo, Bari, Bologna, Florence, Venice and Verona in Italy; Lublin in Poland; Jonkoping, Norrkoping, Gothenburg and Karlstad in Sweden; Istanbul in Turkey and Aberdeen, Birmingham, Bristol, Derry, East Midlands, Edinburgh, Glasgow, Inverness, Kirkwall, London Heathrow, London Stansted, Manchester, Newcastle, Stornaway, Sumburgh and Wick in the UK. flybmi is represented in Greece by Discover the World.